At only a short 2 minute drive from Mortdale, Sports Medicine Clinic is the ideal location to visit for any physical or sport injury concerns. Our clinic places an emphasis on treating our patients with osteopathy and chiropractic, which are both safe and effective manual medicine. For one of the best osteopath clinics in Mortdale visit Sports Medicine Clinic. Another treatment option that is offered at Sports Medicine Clinic is chiropractic, a health profession concerned with the diagnosis, treatment and prevention of musculoskeletal system disorders, their effects and general health. The musculoskeletal system is a complex network that is able to relieve a range of symptoms and concerns from back pain to headaches. Chiropractic believes in the body’s ability to self-heal, therefore the treatment provided allows the body to naturally do this. It is best to visit a chiropractor for injuries of the musculoskeletal system, as they are they only practitioners that are trained in locating and correcting vertebral subluxations. Although certain symptoms may not manifest as being relating to skeletal issues, it is important to remember that slight changes in areas such as the spine can result in changes in the surrounding nervous tissue. 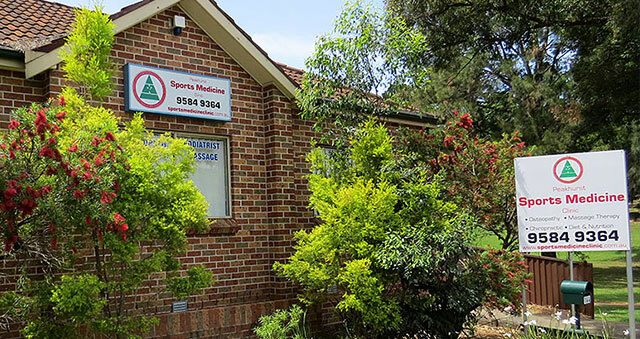 For chiropractic in Mortdale, visit Sports Medicine Clinic, which is a short 2 minute drive away.